If you've mastered Python's fundamentals, you're ready to start using it to get real work done. Programming Python will show you how, with in-depth tutorials on the language's primary application domains: system administration, GUIs, and the Web. You'll also explore how Python is used in databases, networking, front-end scripting layers, text processing, and more. This book focuses on commonly used tools and libraries to give you a comprehensive understanding of Python’s many roles in practical, real-world programming. You'll learn language syntax and programming techniques in a clear and concise manner, with lots of examples that illustrate both correct usage and common idioms. 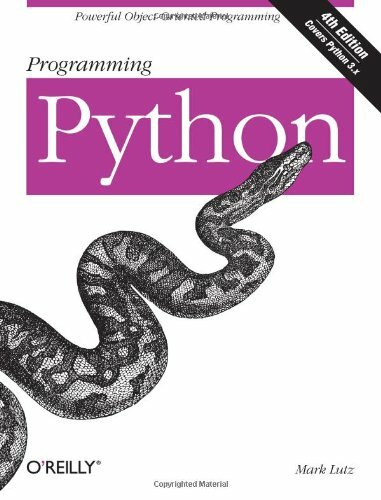 Completely updated for version 3.x, Programming Python also delves into the language as a software development tool, with many code examples scaled specifically for that purpose.